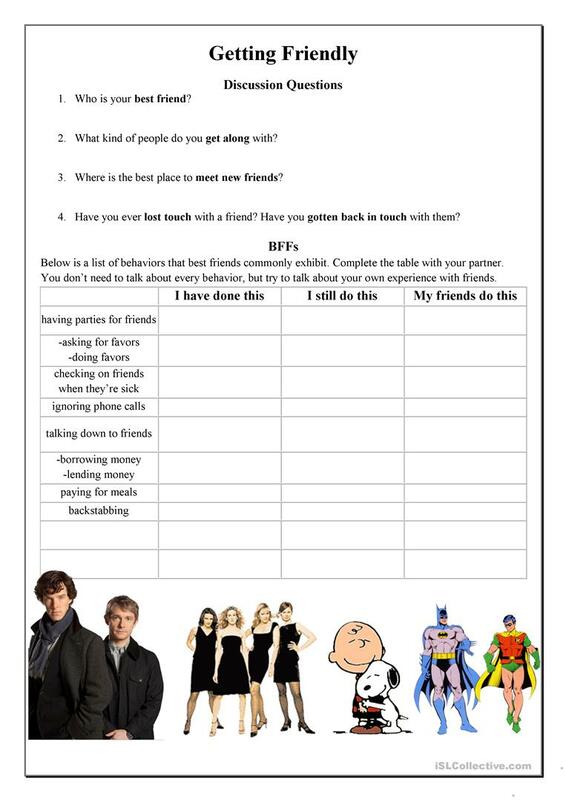 A simple conversation supplement with questions and an activity. The above downloadable printable is meant for adults at Intermediate (B1) level. It is excellent for developing your learners' Speaking skills. It centers around the theme of Friends. morsmordre is from/lives in South Korea and has been a member of iSLCollective since 2014-02-19 08:19:46. morsmordre last logged in on 2015-10-30 00:58:40, and has shared 5 resources on iSLCollective so far.